Everyone has their own little habits, quirks, pet peeves, etc… But sometimes you just do things because you are taught once by someone and that’s the only thing you know. Welllllll…. for every time you’ve eaten at a restaurant and had some ketchup in a paper cup, you were wrong. Take 30 seconds to watch this video that is not only going to change your view on condiments, it’s going to blow your mind! So next time you go to a hamburger and french fries joint, make sure to utilize the ketchup cup the correct way! Don’t make the mistake that so many do. Be ahead of the game and show your friends just how cool you are! Something that they like to calls “ketchup ignorance.” Who knew there was such a thing… We sure didn’t! We all know Starbucks is the biggest and baddest coffee shop in the world, but why is that they are so successful? Not just because they can make a mean pumpkin spice soy extra hot latte, but because they are run by people with some common sense and honorable intentions! And of course, there is no coincidence that it comes during the time of the government shut down…. 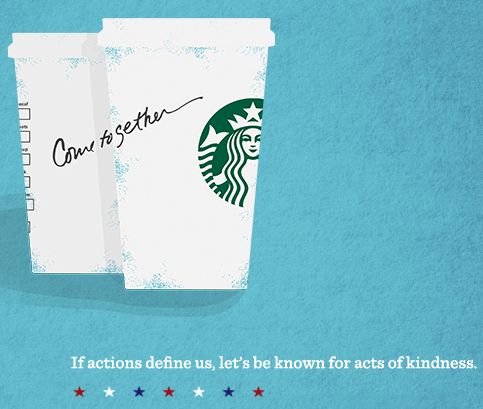 In case you haven’t heard about it yet, they are currently running a special this week based around “paying it forward.” CEO and president of Starbucks Howard Schultz decided to encourage lawmakers to come together during uncertain by offering free coffee to customers. In “this seemingly unending cycle of dysfunction and doubt,” Schultz announced that Starbucks’ customers could buy “someone else their favorite beverage” and get a free tall brewed coffee in return from Wednesday through Friday of this week. This sense of paying it forward allows people to find a little bit of comfort in these uncertain times. A nice little boost of confidence in humanity and common decency. The Video Ice S-120 is a Carbon Fiber, lightweight, hand-held camera stabilization system designed for compact cameras weighing up to 6 kg / 13 pounds. This system works so well that it allows you to shoot incredibly smooth and graceful shots even while going to extremes like running up and down stairs. This amazing stabilization system will provide professional results previously out of reach for low budget video and filmmakers. The camera platform moves back and forth, and side to side, to quickly allow you to adjust the cameras horizontal balance. By varying the amount of counterweight disks on the base platform you adjust the camera’s vertical balance. When balanced properly the camera floats, always balanced, isolated from your hands undesirable motions and ready for you to move into action. With the Video Ice S-120 you no longer need a tripod or a dolly. All you need is your Imagination! It is quick and easy to set up and balance. Allows unrestricted Booming and unrestricted 360 degree Panning. It Can also be used as a Monopod, no-tools telescoping base, with positionable weight discs that allow you to Achieve Dynamic Balance. 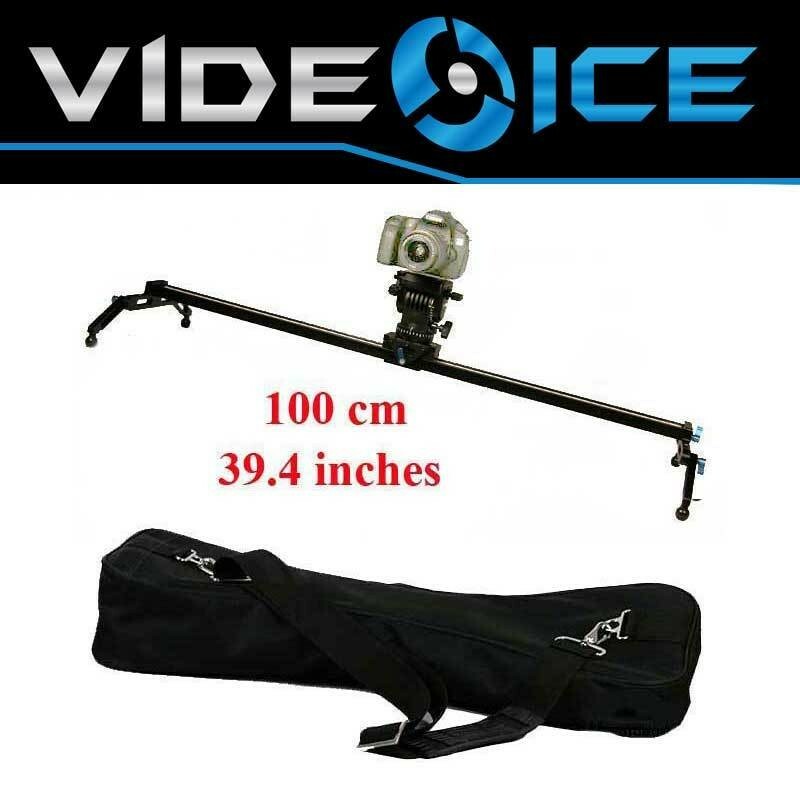 The Video Ice S-120 has a telescopic post which can be extended from 70 cm / 27″ to 120 cm / 47″. Its height can be adjusted according to the weight of the camera. For your convenience it includes rods and connectors for a matte box. This system is especially useful for professional and Pro-sumer Video Cameras and video capable DSLR cameras. It will work with most cameras weighing up to 13 lbs. An Articulated Arm system is designed to absorb shocks and bumps. It is durable, and lightweight. The Shock Absorber Springs are adjustable for taking high end and low end shots. The arm has manually adjustable tension springs which maintains the position of the stabilizer depending on the combined weight of whatever camera you’re using. The arm itself is very light in weight and easily removed from the vest. There’s a universal stabilizer mount which is inserted and locked into the arm without the need for tools. This load vest is simplified, with a thinner chest plate and a single knob to adjust its height, making it more flexible to operate. The Comfort load vest is completely foam padded in both the back and the front. The Vest is very versatile and very light-weight which makes it very comfortable for long term shooting. Made of high strength and light weight carbon fiber. With two connection arm and one shock absorption arm. Stabilizer Body weight: Approx. 1800g / 4 LBS. Weight Bearing Capability: 6 kg / 13 lbs. Visit VideoGearDirect.com to view this product and a wide variety of high quality, affordable video equipment. 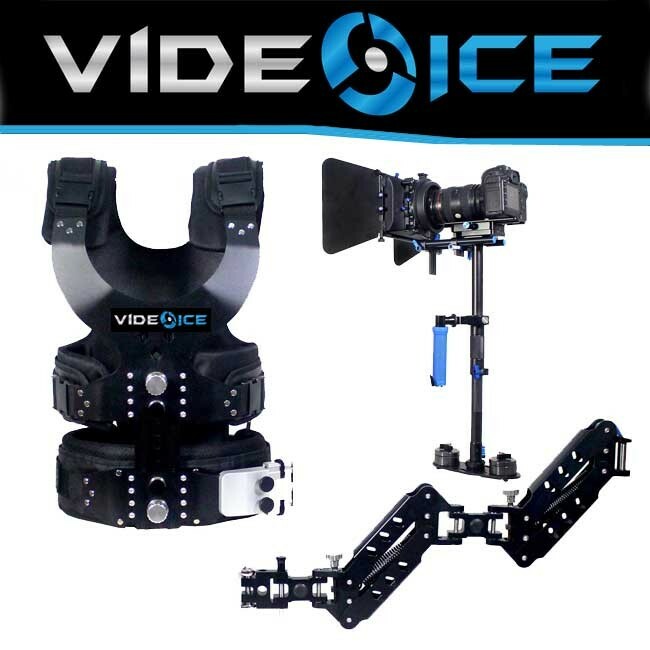 Win this Video Ice Camera Rig valued at $800 from Video Gear Direct! Simply Like our Page, Share this with your Friends and sign up for our newsletter… BAM, you’re entered to win this Video Ice Camera Rig. It’s that easy! The contest starts now and ends June 30, 2013. The winner will be announced on our page on July 10, 2013. Visit VideoGearDirect.com for more information. Video Ice Camera Rig SKU: VI-SR-WSW-F4-M3. Here is the complete system for the DSLR or video camera owner, consisting of: Shoulder Mount, Follow Focus and Matte Box. This kit has many features that enable the DSLR/DV/HDV users to get different kinds of shots to make commercial and professional movies at a much lower cost. The aim of this kit is to provide the operator maximum flexibility while shooting both outdoors and indoors. It is a very portable and handy kit which can be used on your shoulder, as well as on a tripod. You can mount the whole kit on a tripod without disturbing any part of the kit. 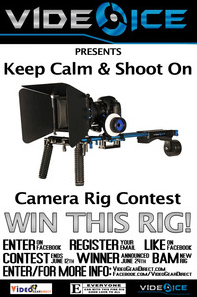 Interested In Winning A New Camera Rig? A full featured professional camera slider for Heavy Duty Camera Systems that provides shake-free stability & Support to Cameras while shooting. The 100cm long Linear Camera Slider is the quietest, smoothest and most versatile camera slider on the market today. It allows you to mobilize any movie camera, video camera, digital camera or other piece of equipment. As you slide the camera across the slider and take pictures, each picture is seeing the subject at a different angle. The benefit to the Linear Camera Slider is that, it is ultra compact and convenient, and takes seconds to assemble. The Linear Camera Slider can take the place of a Camera Dolly System. It is so versatile and convenient that it completes your video even in a tight space and in much less time than a camera dolly can manage. You can mount your own Fluid Head onto the Linear Camera Slider to produce more angles and positions to create an extraordinary video shoot.